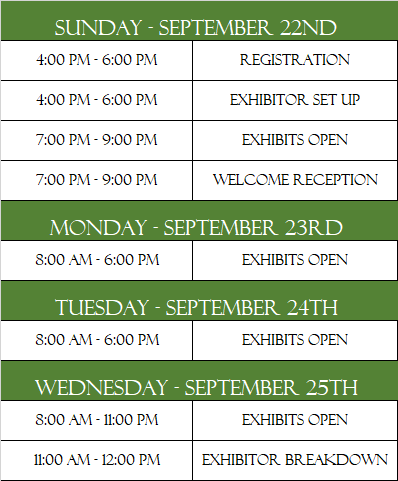 Exhibitors are encouraged to attend breakout sessions as well as plenary sessions. All included attendee meals are also available for exhibitors. 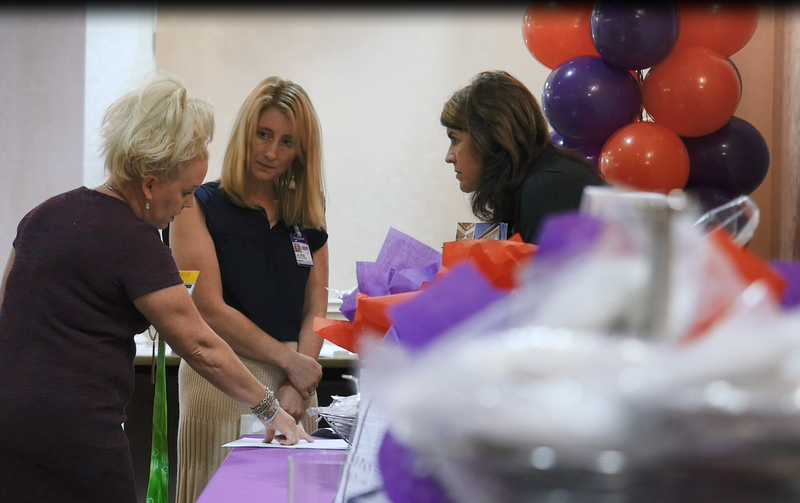 Exhibitors may purchase VIP dinner tickets. All booth rental space includes a skirted table and two chairs. Early Bird Exhibitor tables are available at a discounted rate until April 30th, 2019. Each exhibitor may have two attendees to work the exhibit space. These attendees are permitted the same access as conference attendees (including meals). Additional Staff may purchase attendee registration via the standard attendee registration tab. Exhibitors are welcomed to purchase VIP Dinner tickets below, or on site until the event is sold out. Electricity is provided by the hotel and should be coordinated with the hotel. Payment for electrical orders are made directly to the hotel. If Shipping Services and/or Storage Services are required, please contact [email protected]. The Davis Direction Foundation (“DDF”) will accept exhibit space applications/contracts on a first-come first served basis; please complete and return your form, including your first, second and third choice space preferences and full payment as soon as possible. Payment and space selection should be completed online at www.buildingcommunitiesofrecovery.org for the most up to date space availability. You may mail your exhibit space application and your Payment in US Funds via money order, check (made payable to: Davis Direction Foundation) or credit card information to: Davis Direction Foundation Attention: BCOR Exhibitor 32 North Fairground Street NE Marietta, Georgia 30060 Please note that DDF is unable to ‘hold’ spaces without payment, or accept purchase orders or verbal commitment for exhibit and or sponsorship opportunities. 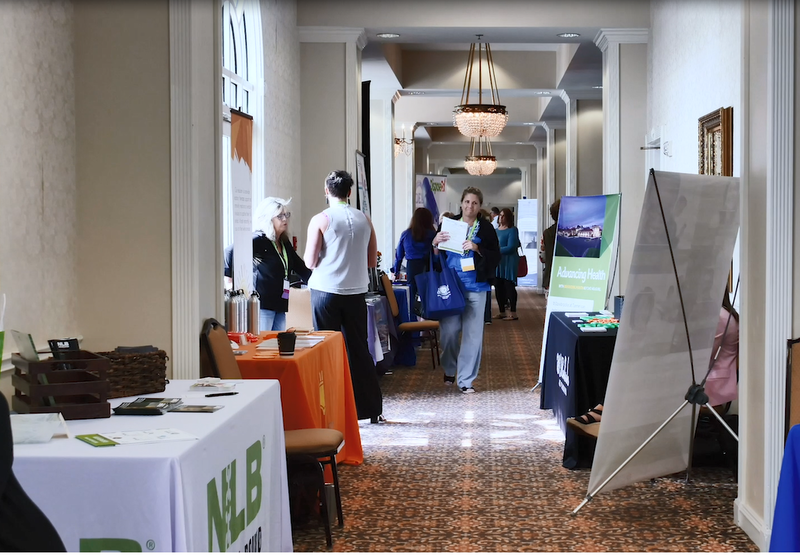 All products and services exhibited at the Building Communities of Recovery conference shall be directly related to the DDF mission, must be of professional or educational benefit or interest to conference attendees and MUST be approved by DDF prior to selling any product or service at the conference. · The DDF reserves the right to determine the eligibility of prospective exhibitors for inclusion in its conference and expo. Eligibility will be determined following receipt/online submission of the Exhibit application/contract and payment. Exhibit space preferences will be accommodated as best as possible, however are not guaranteed to match preferences. A confirmation will be provided with your space assignment and exhibitor information. The DDF reserves the right to reject or require on-site modification of any display or demonstration that, at DDF’s sole discretion is not in keeping with the mission and vision of the DDF Building Communities of Recovery National Conference and Expo. · All exhibit spaces include a skirted table and chairs. Tables may have a tabletop exhibit or a floor exhibit in front of or behind the table, however may not hinder another exhibitors space in any way. · No exhibitor shall sublet, assign or share any part of the space allocated to his or her organization without prior written consent from the DDF. · The rights and privileges of any exhibitor shall not be infringed upon by any other exhibitor. No exhibitor material/advertisements may obstruct exhibition attendees’ views of adjacent exhibit space from any angle. Exhibitors activities that cause attendees to congregate in the aisles and impede or restrict traffic are forbidden. All displays, signs, flyers, distribution of literature and souvenirs, entertainment or any other activities must take place inside the contracted exhibit space only. · Exhibits including audio and/or video devices must be conducted and arranged so that no noise will disturb adjacent exhibitors or attendees. The DDF reserves the right to prohibit the use of amplifying devices that it considers objectionable. · All exhibiting organizations cancelling space will be charged a $500 processing fee, and no refunds will be issued after June 1, 2018. · No cash transactions will be permitted on the exhibit floor. The displaying or quoting of inflated list prices on merchandise exhibited will also not be permitted. · Advertising material or signage of companies other than those that have paid for exhibit space are prohibited. Canvassing and solicitation of business or other conferences are strictly prohibited. · All questionnaires and giveaways must have prior approval by the DDF. Samples of proposed questionnaires and/or giveaways must be submitted to the DDF by September 1, 2018. The common area of the exhibit hall will be erected, furnished and dismantled by the official DDF staff and/or contractors as part of this contract. All shipments of exhibit materials must be coordinated with the DDF. Send all inquiries regarding incoming shipments to: info@davisdirection.com The exhibitor agrees to adhere to and be bound by all applicable fire, utility and building-code regulations at the exhibition facility. The exhibitor also agrees to the contract and terms between the facility (managers and owners), The DDF and other parties relating to the exhibition. The exhibitor shall not deface or damage the exhibition facility or exhibit area in any way. It is the responsibility of the exhibiting organization to be compliant with the rules and regulations of the exhibit facility (convention center hotel, etc.) Insurance and liability are the full and sole responsibility of the exhibitor. This contract shall not constitute or be considered a partnership, joint venture or agency between the DDF and the exhibitor. Each exhibitor agrees to protect, save and hold the DDF, the Atlanta/Marietta Hilton Hotel Conference & Expo Center and the DDF Board of Directors and its staff and/or volunteers for this conference, as well as all of the entities owners, agents, contractors and employees (hereinafter collectively called indemnities) forever harmless for any damages or charges imposed for violations of any law or ordinance, whether occasioned by the negligence of the exhibitor or those holding under the exhibitor. Further, each exhibitor shall, at all times, protect, indemnify, save and hold harmless indemnities against and from any and all the losses, costs (including attorneys’ fees), damage, liability or expenses arising from or out of, or by reason of, any accident or bodily injury or other occurrence to any person or persons, including the exhibitor its agents, employees and business invitees, which arise from or out of, or by reason of said exhibitor’s occupancy and use of the exhibition premise or a part thereof. No pets or animals shall be permitted in the exhibit hall, with the exception of service animals for persons with disabilities. Note that the DDF Service Dog may be present and any service animal in attendance, must be verified as a service animal to be present. No live demonstrations are permitted in the exhibit hall (including volunteers, contracted or otherwise.) Each exhibit must be open during all official show hours. Exhibiting organizations that do not adhere to this strict DDF policy may bot be eligible to exhibit at future DDF exhibitions. In the event of cancellation due to acts of God, fire, strike, government regulations or other causes beyond the control of the parties to agreement, DDF will refund that portion of exhibitor fees that it deems consistent with thze expenditures and commitments already made. Unethical conduct or disregard for any rules state herein, on the part of an exhibitor, his or her representatives or both will be considered just reason for DDF to dismiss the exhibitor, his or her representatives or both from the exhibit hall and to prohibit the exhibitor from attending future DDF conferences. In this event, it is agreed that no refund shall be made by DDF and that no demand for redress will be made by either the exhibitor or his or her representatives. 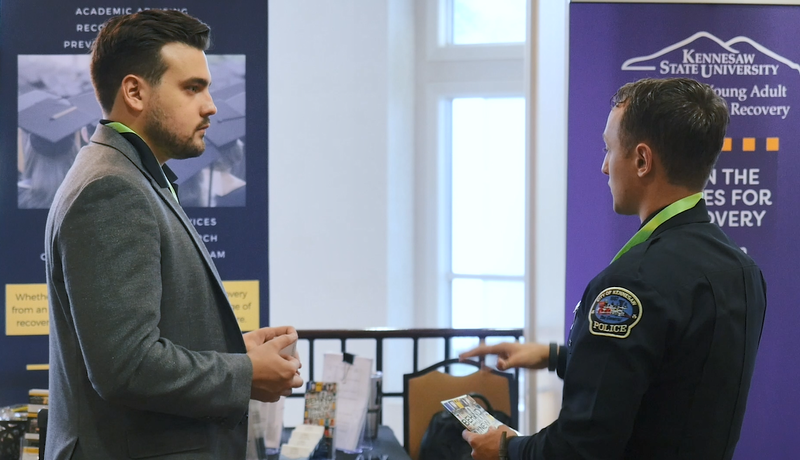 Exhibitors are responsible for and shall adhere to the Food and Drug Administration regulations on the promotion of investigational and pre-approved drugs and devices. For further information on DFA compliance, visit the FDA’s website: www.fda.gov.